I took this image at "ABIRAMI MAL" chennai. 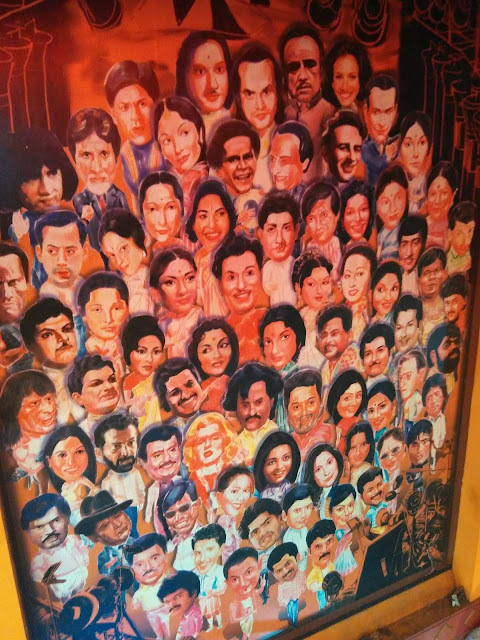 Both the Bollywood and Kollywood actors and actresses have been painted on the wall . The painting gives attractive image of everyone naturally.